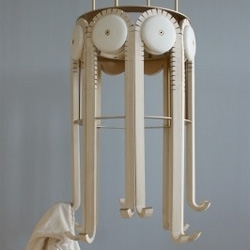 Respond, a mechanical coat rack from Nicole Schindelholz. The interactive coat rack moves when a coat is hung. Find out more about Respond from Nicole Schindelholz.